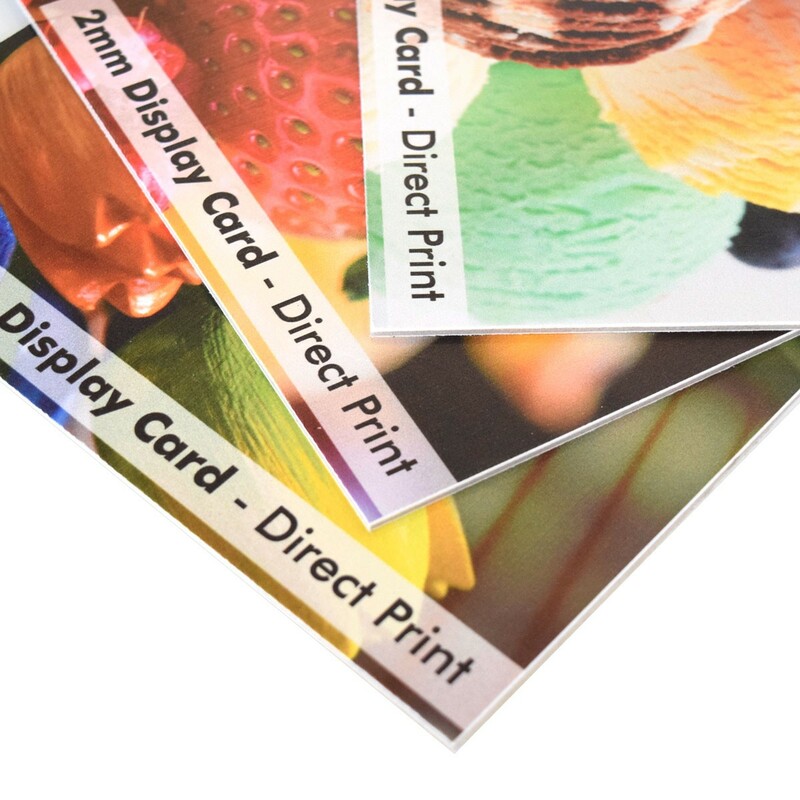 2mm Display card is the perfect choice for short term temporary displays and hanging signage, cost effective and perfect in a retail environment. Also most commonly used for strut cards, for effective self standing POS signage. This makes display card the ideal pick for indoor usage, it can be printed direct or vinyl mounted, and contour cut to custom shapes.